Select Cove Bits are on Sale! 2 flute, carbide tipped with totally enclosed ball bearing guides. Ideal for decorative edges. 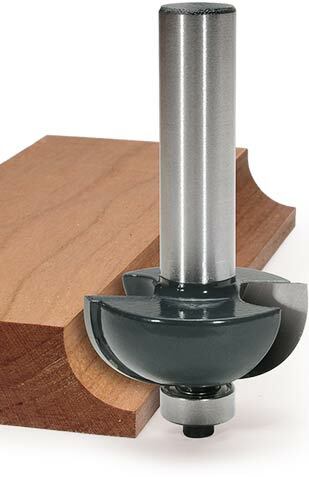 Also used for dropleaf table joints, moldings and more. OMG OVERJOYED! THIS IS MUCH COVE BIT FOR LITTLE MONEY. FIRST AND LAST CUTS IN MY GRANDFATHER CLOCK PROJECT WITH THIS BIT WORKING IN DARK WALNUT WERE EQUALLY GREAT. ARE YOU CERTAIN THAT FIVE STARS ARE THE HIGHEST RATING I CAN MAKE.